Sponsor A Village (SAV) is based on a 5 pillar development model that incorporates everything crucial to lifting communities from poverty and removing obstacles to educating children. This isn’t charity in the traditional sense. It’s empowerment for the entire community. Within approximately 5 years of implementation, projects are fully sustainable and parents no longer need our financial support. Education changes individuals, communities and future generations and provides the highest return of any social investment. Education has been proven to be the best way to empower people with the tools, knowledge, strength and confidence they need to promote and protect their own rights, growth and self-sufficiency. Education helps families, communities and entire nations break the cycle of poverty. With primary education, we are empowering children to not only learn reading, writing and arithmetic, but to learn to protect themselves from HIV and AIDS, and from malaria, tuberculosis and cholera through basic sanitation principles as simple as washing their hands. 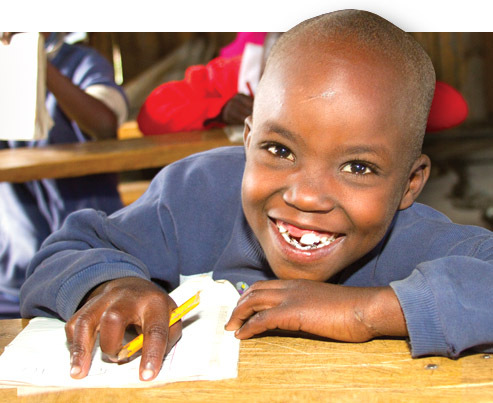 Educated children are better equipped to build strong livelihoods through improved employment opportunities. Clean water and sanitation eradicate up to 80% of the illnesses that keep children out of school. In Africa alone, people spend 40 billion hours every year just hauling water. Women and children, particularly girls, bear the burden of collecting water, walking miles to the nearest source, which is unclean and likely to make them sick. 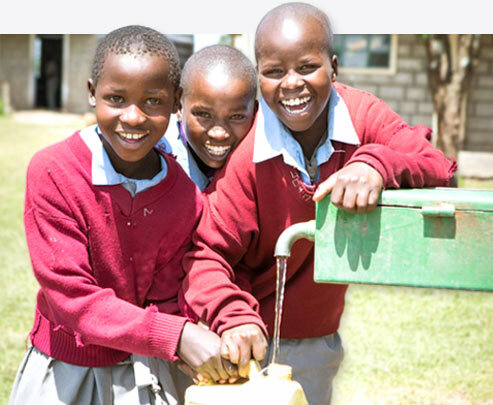 Providing clean water in a community is fundamental to children attending school. It not only ensures they are healthy enough to attend school but frees them from the time-consuming task of hauling water so they have time to attend school. The Clean Water and Sanitation Pillar is an essential element to preventing diseases and illnesses. Hot school lunches, food aid and community gardens help end the cycle of hunger and malnutrition. Close to half a million children under the age of 5, as well as pregnant and lactating mothers, are currently affected by acute malnutrition throughout Kenya. Persistent droughts threaten the livelihoods of families, lead to poor nutrition among both children and adults, and subsequently reduces regular school attendance. Students are often forced to drop out of school and find temporary employment to earn money and help feed their families. The Food and Nutrition Pillar ensures that each child receives a daily warm meal. Once their bellies are full, children are more able to focus on learning. The school lunch program also inspires students to remain at school all day and devote more time to their studies. School gardens and farming projects supplement the lunch programs with nutritious, fresh foods. 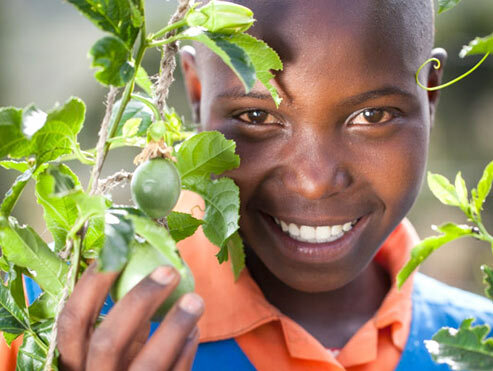 Each school is assigned a garden plot for the students to learn about agricultural best practices, small-scale irrigation, crop production, nutrition, and the benefits of consuming a variety of fruits and vegetables. The students are encouraged to implement lessons they learn at school in their gardens at home. 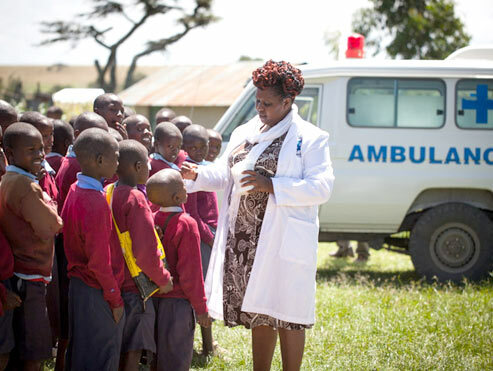 Meeting basic healthcare needs is a key tenet to keeping children in school and building strong sustainable communities. Healthcare is a significant concern for the communities we support. With no healthcare and no health education, diseases like HIV/AIDS, malaria, typhoid, dysentery and a myriad of other waterborne diseases continue to run rampant across the developing world — devastating families, and keeping children from getting an education that can reverse this perpetual crisis. This pillar acknowledges the strong link between helping people meet their basic healthcare needs and building strong communities. Teaching the parents to generate an income is vital to ensuring the sustainability of the overall project. 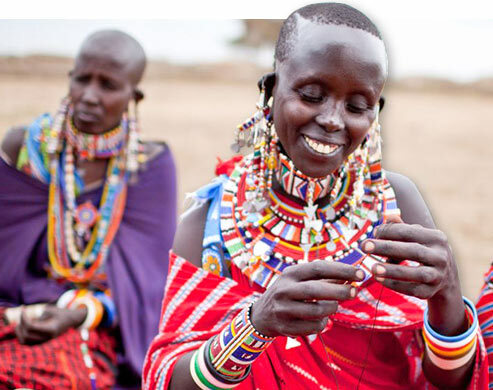 Training and empowering marginalized women and men is critical to enabling them to generate an income so they can provide for their families and afford to send their children to school. It also results in an increase in girls attending school and a decline in the incidence of child labor. More than half the world’s population lives on less than $2 per day. In the developing world, crippling poverty forces many parents to send their children into the workforce to provide for the family instead of going to school. The Income Training and Empowerment Pillar provides opportunities to learn income-producing skills.